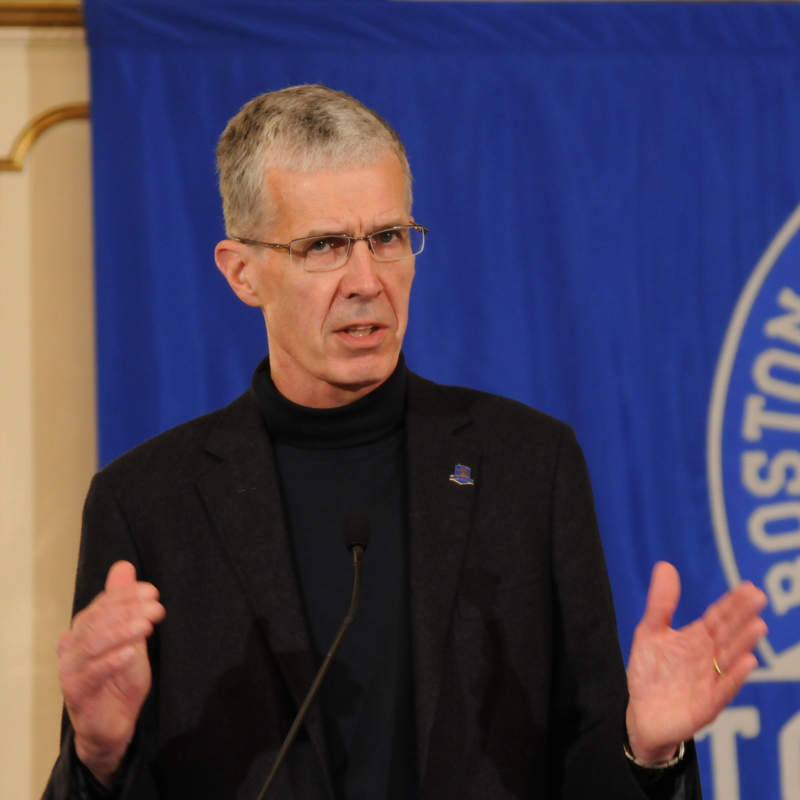 Tom Grilk is the Chief Executive Officer of the Boston Athletic Association/Boston Marathon. He has been a regular member of the Boston Athletic Association since 1987, became Executive Director of the B.A.A. in January 2011, and Chief Executive Officer in 2016. He served as President of the B.A.A. Board of Governors from 2003 until 2011. During his tenure, the B.A.A. has focused its efforts in three areas: the conduct of athletic events, the operation of community service initiatives, and the training and development of athletes. Both he and the B.A.A. are guided by the traditions that have fostered more than a century of achievement at the B.A.A., while also seeking to drive the innovation that will keep the organization and the Boston Marathon at the forefront of athletic excellence and community service going forward. That shared sense of imperative is rooted in the commitment to resilience, strength, and determination that has marked the history of the B.A.A. and all who serve it, both in good times and in times of challenge. In addition to his duties as Chief Executive Officer, Grilk has had his share of hands-on experience with the Boston Marathon, the B.A.A.’s premier event. He served as the marathon’s finish line announcer from 1979 through 2013, and he is a former competitor, having run a personal best in the marathon of 2:49:03 in 1978 and a personal best at Boston of 2:54 that same year. Born in nearby Wakefield, Massachusetts, Grilk currently resides in Lynnfield, Massachusetts, with his wife, Nancy, and has twin sons, Christopher and David and daughter-in-law, Stephanie. He was for many years a corporate and business lawyer, both with the Boston law firm Hale and Dorr and serving as counsel and general counsel to Boston area technology companies. From 1984 to 1987, he and his wife lived in Tokyo, Japan. He is a graduate of Cornell University and received his Juris Doctor degree from the University of Michigan Law School.